Do you need a mobile locksmith assistance at your location? When you are locked out of your vehicle or your home, you need locksmith assistance to come to your aid. 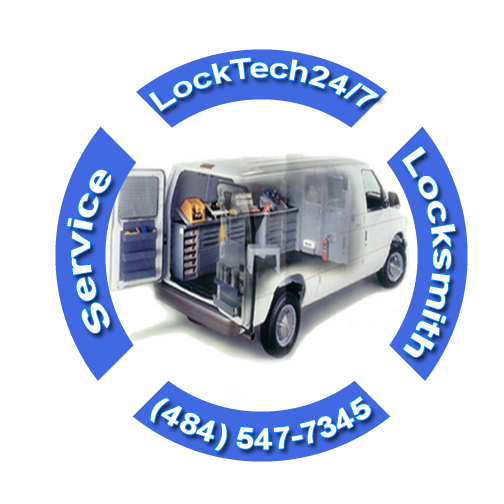 LockTech24/7 is a fully mobile locksmith shop that provides mobile locksmith services at the location of our customers. 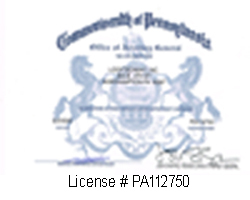 We provide locksmith services in Allentown, Bethlehem, Easton, and the entire Lehigh Valley, PA, and surrounding areas. For our technicians, there’s not too little job or long distance anywhere in the Lehigh Valley, PA. We will come to your location and finish the job on the spot. Our locksmith professionals are driving fully equipped vans with the latest machines and technology. Our locksmith technician will come to you, open your car and make a new high-security transponder chip key, if needed. Perhaps, you need our service in your home or your business, so we show up at your door to re-key the locks of your property. Our lock and key services covers repair, and install door hardware including: lock sets, push bars, and access control. We know you want fast and the best service. That’s why we do our best to provide a top-notch mobile locksmith service. We located in Northampton and serving the entire Lehigh Valley, PA.
We’re here for you 24 hours a day, 7 days a week, offering emergency locksmith services. In short, you can reach us at any time. We come out without delay or hesitation. Whenever you need a professional locksmith, please call or contact us in order to schedule appointment. Don’t worry! We can immediately help you, soon after you call us. We are covering a large range of area, and we will have you back into your car. And to point that we can get you back on the road in no time. Whether you drive small vehicle or you’re driving semi-truck, LockTech24/7 locksmith is ready for your call. With this in mind, please call us now. In the last 2 decades, many vehicles built after 1990 are equipped with VAT or transponder system to reduce car theft. A transponder computer chip is installed in the head of your car key. And when you insert the key inside your ignition lock, the transmitter sends a signal to the computer of the car. If the transponder was programmed and matches your car ECU, the computer recognizes the signal and the car starts when you turn ignition to ON position. Whether you lock yourself out of your car, or you’ve lost your car key, we can help you, fast. As we said above, lockout services are the most common services that locksmith receives on a daily basis. Don’t be hard with yourself, too. Again, it happens to all of us! Also here at home, when we less expect that. LockTech24/7 Locksmith knows what is important to our customers when it comes to emergency lock outs. Customers want fast and professional service, as well as low price. Let us unlock your door for you. When it comes to emergency situation, you want the best locksmith and the best service in Allentown. Lockout services are the most popular services that locksmith receives on a daily basis. Don’t be hard with yourself, it happens to all of us. Our locksmiths know what is important when it comes to emergency lockouts; especially when your business locked out of making money. We know that commercial customers want fast and efficient locksmith service that will get them back to business. Let us unlock your day to get you back on business as soon as we can, we offer 20 minutes to get you back on business. When you lock yourself out of your office, your business is locked out of making money. For the purpose of helping you not to lose money, we will be there as soon as possible. Have you re-located and moved into a new home? We’ll be happy to congratulate you and to re-key the existing locks on your doors. You don’t need to be a worry anymore, uninstalling the locks, take them to locksmith shop, wasting your time for re-keying and matching a new key, we’re here for you! We’ll come to you and rekey the locks in your property. Worn lock and keys can cause the key to breaking inside the lock. LockTech24/7 can extract your key and make a new key to work on your lock or, provide you with a brand new lock. Would you like to upgrade the security of your home or your business? Don’t let a malfunction or broken lock to ruin your day, or prevent you from getting in and out of your home or business quick as it should be. Often, a malfunctioning latch, bolt, or lock mechanism causes the problem. The lock mechanism may not work simply because there is pressure between the door and the frame, or the lock is dirty or dry and needs to be lubricated with WD-40. Whether your lock has been stopped working properly, or you’re thinking to upgrade your security, call us and experience the comfort of having us working for you at your location. For serious lock problems, it is best to call LockTech24/7 Locksmith Services.